Oh my goodness, what a whirlwind it's been! I can't believe that it was just over a year ago that I started writing this book called Field Guide to Cookies, and now it's actually on bookshelves in actual bookstores! Yesterday, I was at my workplace and co-workers kept coming by with copies of my book for me to sign! You should realize that it's an engineering office, not a bakery or restaurant, so to see my book all over the desks of my co-workers was rather surreal – and very touching. Life right now is rather surreal in general – not just because my book is really, finally out, but because all the ways my life is currently changed by it. I've been doing interviews for publications, trying to set up other promotional events, and, oh, there is this other little thing called my second book that I'm also working on! That leaves about zero time for this blog, so I really have to thank all my lovely blog hosts, who have gone above and beyond to write thoughtful and beautiful posts about their experiences with my book. They are doing a spectacular job putting my book in the spotlight, when I haven't had time to talk about it as much as I would have liked on this site. I am very lucky to have such great friends! I hope all of you are enjoying the posts as well, and also exploring their own amazing blogs! Now, lest you think I'm getting a big head and getting carried away with delusions of grandeur, it's not like that at all. Even though there are so many great things happening right now, what I really wish I could do is just sit and absorb the moment, and capture it to savor in memory. It's like all the best, most precious moments in life, right? The first time you see a rainbow. The day you graduated from high school. Your first kiss. The first snow of winter. Your wedding day. Moments that always flit by so fast like butterflies winging towards the past, all the more precious in retrospect, because of course they never ever last long enough. So all I'm trying to do is to take a breath, and see past all the other craziness filling my life, and just really, really appreciate this time. An acquaintance said that sometimes, when it feels like universe has decided to smile on you, you should acknowledge it – don't ever take it for granted. And I don't. So thank you, universe! Thank you for giving me with this wonderful experience. And thank you to every single one of you out there who has sent so much positive energy my way. I'll treasure this time forever. I wish all of you could have come to my book release party last Saturday – it was an shockingly balmy November day in San Francisco, a record breaking 75 degrees. What winter, I say? And what better way to celebrate than with a little party? 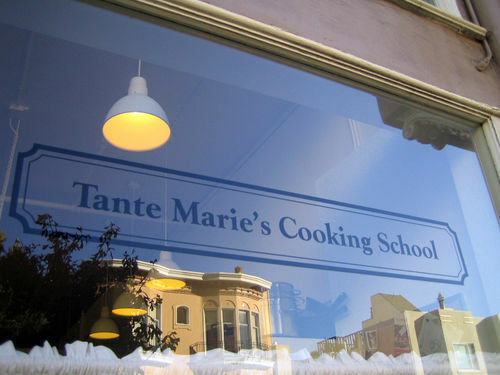 Tante Marie's Cooking School, where the party took place. Very fitting, since this was the place where I took my first footsteps into pastry! Thanks to my brother-in-law Doug who took all the photos for this post – I was in such a tizzy the day of the party I forgot my camera at home! At any rate, I was entirely occupied with talking to everyone during the event to even think of taking pictures, so thanks Doug! You can see some of the cookies that the talented professional pastry class baked for all the guests. I was so worried that we would run out of cookies, but fortunately there was plenty to go around! I felt very nostalgic wandering around the kitchen where I had learned pastry for six months. It was also a thrill to talk to the pastry students – one of them told me she had been inspired by my blog when she went to pastry school; a little intimidating and flattering all at once! This is me with Mary Risley, the owner of Tante Marie's Cooking School, who graciously let me host the party at the school I also want to thank chef Greg Mindel, the current instructor for the professional pastry program, and the professional pastry class for helping bake all those delicious cookies and making the party a success! I'm sorry I didn't get a picture with all of your guys – if you all have a photo of your class taken I'll gladly put it up! Finally, as promised, to commemorate the official publication of Field Guide to Cookies, I am giving away a copy of my book to one lucky reader! To enter, simply post a comment to this entry with your favorite cookie. I'll hold a random drawing and announce the winner next week. Good luck! I hope you enjoy the rest of the blog tour as well – there's two more days, finishing with Bea and Peabody. After this week things will be slowly going back to normal, and I'll be back with some non-cookie related posts (finally!) Thanks for sticking around! « Field Guide to Cookies – The Blog Tour! 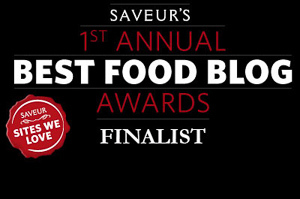 I’ve loved following your blog and the adventure of your cookbook. Congrats on all that tasty work paying off! Wow, that must be so exciting! ooooh, my favorite cookie…i would have to say it’s springerlies which is the christmas cookie my grandma always used to make when i was a kid. now my aunt makes them and mails them out to the family and they are SO good! Anzacs biscuits and Scotch Fingers are my favourites!!! 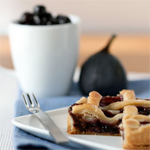 Oooh madelines with a fruit dip.. Hadn’t thought of that… Must go and try now!!! My favorite cookie is a really good quality shortbread or sandie. I just can’t get over how they seem to literally melt in your mouth! Congrats on your book release! I like giving books to the kids at Christmas – mostly, cook books or craft-related books… so this year, I’ll definitely add the Field Guide to my list! Good luck on your second book!! CONGRATS!!!!!!!!!!!!!!!!!!!!!!!!!!!!!!!!!!!!!!!!!!!!!!!!!!!!!!!!!! I cannot wait to get my hands on a copy. I love your blog and I love cookies. 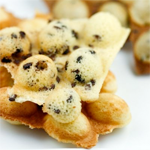 I prefer the ones with chocolate chips….but every cookie in the world is delicious for me. ¡¡¡Congratulations for your book!! !…It seems to be lovely !!! 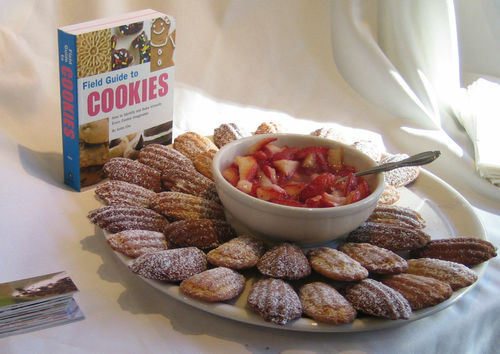 “Chocolate Shortbread Nuggets” are to die for–congrats on your great book party! I love your blog! “Chocolate Shortbread Cookies” are to die for! Congrats on your successful book party, and on your mini-stardom! I love your blog! Hurrah! I’ve been enjoying the book “tour” on the blogs; don’t worry about being a little absent here. It’s an exciting time for you! My favourite cookie would have to be the classic chocolate chip, though I like it best with toffee bits. Congratulations on your first book! I hope you get to savor the process. My old favorite cookie is a white choc chip-macadamia. That is really so exciting and the party looks like it was a perfect way to launch your book! I only discovered your blog a few days ago, but am going to go back and read some of your earlier posts soon. Favorite cookie? I’m all about chocolate, so I’d say it would be a triple chocolate cookie! Anita – Many sincere wishes for a wonderful start with your newly founded success! I have already bought the book, and should be receiving it from Amazon any day. Again, my personal best regards. I pick Dark Chocolate Crinkles as my favorite! Your book looks wonderful – you should be very proud. I would love to win a copy of your book–Congratulations by the way!! My favorite cookie is chocolate chip with pecans! Ooh I would LOVE to win your book! I think chewy molasses cookies are my favorite! So soft and reminiscent of fall. Congrats on all your successes!!! Hi, congrats on your release of your first book! I can feel your satisfaction, and u seems to be bouncing and dancing happily like a litte girl in the first pix! Wonder whether i can get it at our local bookstore (Singapore)? Congratulations! I’m a brand new reader, but a very devoted baker. Your book looks like a lot of fun! My favorite cookie? Hmmm…I’d have to say good old chocolate chip–although it has to be somewhat soft, with nuts, and just slightly browned. Of course, I go crazy for EL Fudge’s and Hydrox on occasion…but for homemade it’s chocolate chip all the way 🙂 Congrats on the book-can’t wait to get baking from it! Oops, I forgot the rules — my favorite cookie is a French macaron. Yum. 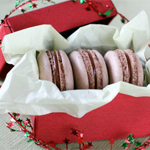 Sorry, I’m having computer gremlins — my favorite cookies are macarons! Congratulations on your book!! I have to say that my favorite cookie has to be a chocolate chip…but I like a peanut butter chocolate chip also. Congratulations…I’ve enjoyed the blog interviews, what a wonderful idea! Our favorite cookie this time of year as to be gingersnaps, or a soft molasses cookie! Can’t wait to get my hands on your book! Medovnicky – it’s a Slavic cookie I always had with my Grandmother. We would pick them up from the Hungarian nuns’ bake sale. Their hard icing was my favorite to bite off and let it melt away on my tongue. 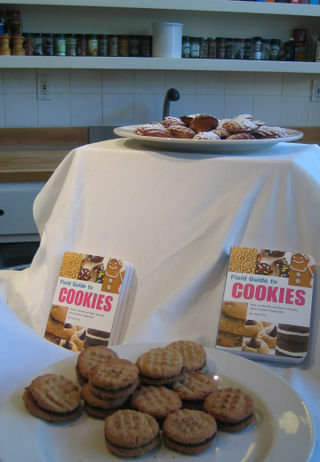 Congrats on your book – cookies are the best and most under-rated pastry in my opinion! Can’t wait to see the book – looks great! Favorite cookie is a tough one…..has to be white chocolate macadamia nut, nice and chewy with big chocolatey chunks. I am so proud of you!!! I can’t wait to get your book. 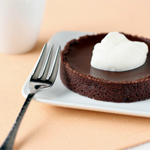 I have read the reviews and even tried a recipe…so great!!! I think you are the best!!! My favorite cookie is the classic chocolate chip..soft and chewy!!! 75 degrees in San Francisco? That is balmy for Nov!!! I have to agree with some of the other comments; an inner-chewy, crispy-edged chocolate chip cookie with a cold glass of milk is my favorite any day. But, of the sampling of recipes on your book blog tour, the chocolate crinkles look divine! Congrats on the book publishing, too. Chocolate chip or gingerbread. Hands down. Congrats on the book!!! Congratulations on the release of your book. I would be so happy to win one. In the meantime, I will be keeping an eye out for it up here in Canada and let the word out to my friends (hmmm just in time for Christmas too). I love all cookies, but I think my favorite is, dare I say it, Oreo cookie without the filling. I also love fortune cookies. I’ve never had a pizzelle, but I have a feeling that I would fall in love with it too. I also want to add that I absolutely love your blog. I love oatmeal raisin chocolate chip cookies. Congrats on the release of your first book. My favorite cookie is a slightly soft (but not too soft), slightly chewy, strongly spiced gingerbread cookie. YUM! Congrats on your book… My favourite cookie is mexican wedding cookie. What a fun party! You definitely deserve it! My favourite cookie is a dark chocolate macaron, although it could be argued that that’s a dessert rather than a cookie!! Congratulations on so much success! My favorite cookies are oatmeal (no raisins). My favorite cookies are Russian Tea Cakes. Congratulations on your book! My favorite cookies… I would say ginger cookies but I love sables as well. Yay!!! So glad your book’s going so well, Anita! My favorite cookie….oh my. I’m not sure how one decides. I guess when it comes to homemade, I’d say either the regular old chocolate chip cookie or white chocolate chip with cranberries. YUM. Congratulations on the book. Thanks for having such an interesting blog. My favorite cookie is the classic chocolate chip cookies and lately I have been partial to the NYT version, but I am always up for trying a different recipe. Congratulations that is so exciting!! 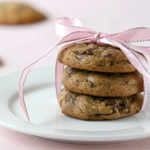 I am still old fashioned when it comes to cookies – I am all about chocolate chip!! Congratulations, I’m so happy to see your book on the shelves! My favorite cookie would have to be gingersnaps! I want your book so so so so bad!! I remember when I first saw your blog I was really amazed by all the delicous food pictures and captivating writing. But I was also kinda mad because you were so darn stinkin talented. =_= Congradulations though!! Can’t wait to see the next book!! Well Done. And good luck with book 2. For me it’s shortbread – no contest! But if I made them all I might have other ideas (and a wealth of cookie experience). I love sugar cookies. So simple, but the texture has to be just right — crispy on the outside, soft and chewy on the inside. mine are oatmeal raisin – am still searching the the perfect recipe! 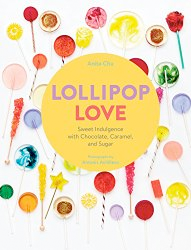 Congratulations on your book, Anita! All the cookies are wonderful!! My friends love them;the first batch was gone in 5 minutes. They’re all a sweet treat! My favorite cookie is the gingerbread! It reminds me of the time when my mother and I would together bake gingerbread cookies during Christmas and decorate them with white icing! The smell of the spices are just wonderful, and the cookie itself is delicious! I’m new to your blog. Firstly congratulations, secondly I look forward to the second book. How amazing! Anyway, I hope you will have time to answer my query. I tried your recipe posted by Ari on gingersnaps. I liked it but am wondering whether you could explain why I couldn’t get the random nice cracks on my snaps? Tks, would really appreciate learning where I went wrong. Congratulations on launching your first book! How exciting for you and for us. I cannot resist a chance to win your cute cookie book. This was hard, but I have to say that my all time favorite cookie is the chocolate chip cookie. Boring, I know, but there’s nothing like one that can ease a hard day or can make me smile when biting into a freshly baked, warm, still soft, chocolately cookie. mazeltov on your book- it’s quite an accomplishment. picking a single favorite cookie is really tough. i try to keep at least three different ones in the freezer at all times so i can grab whatever suits my mood that day. but if i could only have one, it would be this delicate, citrusy yuzu wafer cookie that i was addicted to baking for a few years. it goes so well with tea…hmm, might have to break that recipe out again. i haven’t made them in ages. I wish I could have gone to your party. 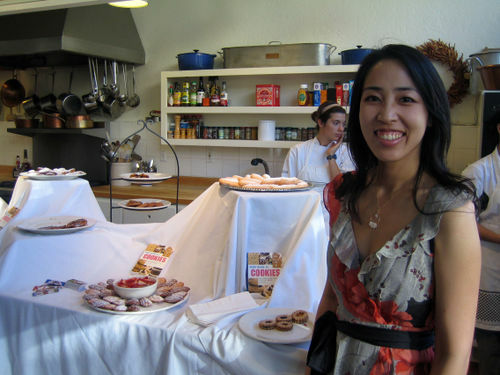 My favorite cookie is Alice Medrich’s Beacon Hill cookies. It’s lot so chocolate held together by a smidgen of beaten egg whites. What a wonderful experience for you. Enjoy it as much as you can, you are deserving of all good that comes to you, for you are a child of God. I found you from Helen and she painted a nice image of you. She was quite correct. I wish I had known earlier, I am only about an hour and a half from SF. If you get to Napa, go to ABC Alexis Baking Company. Great breakfasts, but, try their lemon iced cookies. Then figure out how to make them. Then invite me over to share. Okay. I will be on the lookout for your book. And I hope it make you filthy stinking rich too. If you get to Napa, go to ABC Alexis Baking Company. Great breakfasts, but, try their lemon iced cookies. Then figure out how to make them. Then invite me over to share. They are my favorite cookie ever. Okay. I will be on the lookout for your book. And I hope it makes you filthy stinking rich too. Congrats Anita! And I am already in love with that book. My favorite is the crinkles which I made yesterday and my kids simply loved it! I love the good ‘ol chocolate chip cookie.. its so good on its own, but still provide a great canvas for experimenting with unusual combinations like paprika, chile or even Chambord for that matter. My favorite cookie is one called Cookie in a cookie…. Looks like an awesome book…I’m putting it on my Christmas list! My favorite cookie is a gingerbread cookie. Congratulations again on your book…wish I could’ve been at the release party! I really enjoyed the blog tour. All the posts were wonderfully written, and the cookies were showcased beautifully. Congratulations for your book release!! I don’t remember I came across your blog tour but I find it is a very good idea!! I look every day on the tour and on monday I have try to buy your book here in Italy and what the big surprise? I find it!! !But I must to wait until monday 24 November! Congratulations!!! My favorite cookie is chocolate chip. Sometimes with oatmeal. 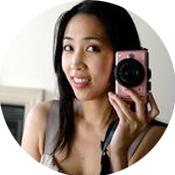 Love your blog; I’ll definitely pick up your book here in Vancouver (I hope), and congratulations on your second! Many congrats- such an amazing time for you. I’m so very excited to get this book, either through your contest or on my own! Fave cookie: Snickerdoodles… always has been! Congrats! How exciting! My favorite is the sugar cookie. BTW, cute dress! My favorite is French macarons, hands down! My favourite cookie is Lebkuchen. Love them! Congratulations on your book, it looks fantastic! A really well made chocolate chip cookie just can’t be beat. Chocolate Espresso Cookies! Which I’ve already made and was a hit with the family! The aroma during baking, the fudgy texture… especially wonderful when I kept half of the dough to bake the next day! Tasted much much better – there was almost a toffee-like flavor around the edges! I’m waiting for my order of praline paste and see about adding some or swapping out the espresso on my next batch! YUMM~! To me shortbread is like a Chanel suit: fine for all occasions, always in style, always classy! Congrats!!!!!!!! I’m copying the recipes other bloggers are posting till I can get the book!!! Warm, chewy, semi-sweet chocolate chip cookies with walnuts fresh from the oven. My favorite cookie is Oatmeal Raisin..
thanks for the chance to win your lovely book..
hi! congratulations to the book, and it’s great that youire sharing to one of us! here goes… my favorite cookies are oatmeal cookies! Congratulations on a huge achievement! Dreams do come true!! I love any cookie that has chocolate and peanuts.. I’m sure I’ll find more gems in your book to enjoy! Congratulations on your book…dreams do come true! I love anything with chocolate and peanuts…I’m sure your book has many other gems I would enjoy! My favourite cookie is the classic chocolate chip cookie. mmmm. Congratulations once again, Anita. You definitely deserve a lil’ break to appreciate all you have and spend some quality time with your loved ones. Anita, once again congratulations!! I’ve been following your blog tour, and so far my fave is the indian almond cookies which Helen—so few ingredients and yet they look so amazing!! Really great job on the book; I hope I’ll get the chance of getting it at Borders here… And congratulations again on your second book!! You must be living out your dreams!! Congratulations……your smile says it all!I am a new reader, came on to your Blog today, saw your date of posting -it was on my 59th Birthday! I love baking anything sweet,so this book would be ideal for baking for my three grandsons! My favourite- anything with Chocolate, so it would be a Chewy Chocolate Chip. Chocolate covered coconut macaroon. Congratulations on all your hard work. Your book looks awesome….it is going on my Christmas list for sure! I can’t WAIT to get this book! Congrats, how exciting for you! My favorite cookie…hmmm…it’s a toss-up between Snickerdoodles and Oatmeal Butterscotch. Yum. Congrats on the book! It looks like a wonderful party and I can’t wait to get my hands on the book. Congratulations! I am sure you really deserve it! Your beautiful book is the perfect Christmas gift for my lovely daughter in law! We love to bake together at every opportunity – and this will send her to the moon with joy! My favorite – difficult choice – but today, I will say, the Madeleine! Thanks! I’ve never commented on your blog but i’ve been a reader for quite some time. Congratulations on everything that’s been going on! I walked into Strand, a book store in NYC the other day and say your book sitting there, I got so excited! As for my favorite cookie, I’d have to say i’m simple and I go for oatmeal raisins! chocolate chip…. no doubt about it. Congratulations!!! I love your blog. My favorite cookies are macaroons of all sorts. Congrats on the release of your new book! I’ve been following the blog tour daily – what a brilliant idea! Congratulations on your new book! I love your recipes and ideas. Sorry to have missed the party, and well, noshing on all those spectacular cookies, as well. It looks like your book was unveiled with unbridled sweet wishes. I hope to see it on the NY Times Best-Seller list soon. Congrats! One of my favorites is the pizzelle. I love making and sharing them. Congrats on the book! Congrats……. on your book. Your book look wonderful. My loves chocolate chips cookies. Congrats again. 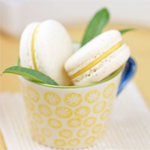 I love your Pistachio and Chocolate Crinkle Cookies – so pretty and delicious too! I would love to have the entire repertoire of your cookies! You are cruel; but I’d have to say that among my favorites are Linzer Cookies! Congratulations! Your book looks like a winner. It’s going on my Christmas list! Congratulations! How exciting for you!! Congrats on your new book! I look forward to picking one up very soon and trying some of your wonderful recipes! I love your blog and your recipes! Congrats with the new book! My favorite cookie is white chocolate chip macademia nut. Yum! cucidati the flavors are just perfect. Congrats I cannot wait to see your book. Congratulations Anita! The concept of this book is perfect! Your book will be a wonderful addition to the Christmas stockings of each of my children who love to bake and a staple, I’m confidant, on their cookbook shelves for years to come. My favourite cookie is a deep, dark Chocolate Crinkle. Yum! If I win a cookbook, I won’t have to wait until after Christmas to stock my own shelf. Congrats on your book release! 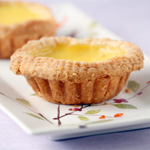 I’ve been a silent reader of your blog…you have inspired me to bake and bake and bake at home. Congratulations! I usually read your blog, but I’m excited you have a book, too! I’d have to say my favorite cookie is plain ‘ol chocolate chip. 🙂 Extra chewy, served fresh with milk! how can I choose? Hmmm…well, I’ve always had a thing for snickerdoodles. chocolate chip has to be my all time favorite ! I can’t get enough of those crisp, buttery, thin cookies I remember growing up…called Lengua de Gato….if I can’t get those, Dark ChocOlate Crinkles will do! Congratulations on the release of your much awaited cookbook and may you have many more to come!!! Hurray! A chance to get your amazing cookbook! For as long as I can remember my favorite cookie has been a chewy gingersnap.I now make a version of them with fresh ginger, Tonka beans and mace–my Spice Snaps. Perfect for the holidays! Cookies (we call them biscuits) are my favorite. Nothing beats munching on them. Congrats! I love double chocolate espresso cookies… light and chewy at the same time. Though the chances seems slim, I still want to share my favourite cookie. Gingersnaps! Not the chewy, sugar crusted type… but the traditional Swedish gingersnaps – that is thin, crunchy and so full of flavor! Not to mentioned it taste healthier than the usual chocolate chip cookies. Good luck with your book! I’m actually intending to send a couple of cookies to my boyfriend staying overseas over the holidays. I was wondering if you have any good cookie recommendations that will survive a week-long journey? I’d have to say my favorite cookie is Chocolate chip. Boring, I know, but it’s a classic for a reason, especially when eaten right out of the oven…. I can’t wait to see book #2! My favorite cookie would have to be the chocolate chip cookie. 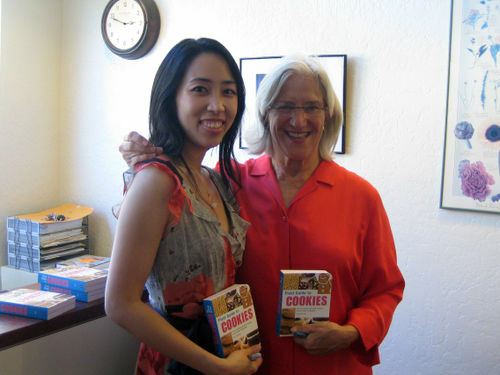 Congrats on your FIRST cookbook … I love to bake…especially cookies! 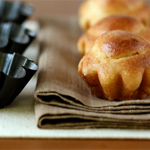 Delicious little treats that are so much fun to make. 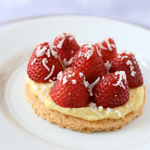 My favorite cookie is from a cookbook I bought years ago at Cafe Beaujolais. It is a caramel bar cookie. 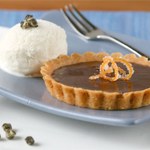 Over the years, I have enhanced it – I make my own caramel sauce and have added chocolate and various types of nuts. Every year during the holidays this is a cookie I bake and share with friends and family. I would love a copy of your cookie book! Best wishes as you continue to experience the joy of sharing your book. It looks like a great book, I hope that it will be released in Australia? congratulations on the book! It looks fabulous and i’m sure the cookie recipes inside are nothing short of fancy. My favourite cookies are snickerdoodles. Easy because i’m such a big fan of cinnamon! May i join the rest of the persons in wishing you wonderful days ahead and congratulations for the book release ! Love your blog. congrats! I love those melt in your mouth and buttery cookies..vennoise cookies are the best! thanks to your encouragement 2 years ago that till now, I still re-read those emails we exchanged and keep the passion burning baking in the kitchen..may yr passion keep inspiring more lives! As for cookies, I’d have to say my favorite are Madeleine cookies. But since they’re so cakey I don’t know if they’re considered cookies! Well, I think they can be. I love their buttery taste and spongy texture. Congratulations! You must feel great. My favorite cookie is a hot, chewy chocolate chip cookie with iced milk on the side! as a poor college student, I don’t get much time to make cookies; but when I do, I really enjoy meringue cookies! Especially since my roomie is allergic to wheat gluten! How fun and exciting for you Anita. So glad things are working out for you! It’s a fun little cookbook and I am happy to have participated on the tour! You deserve everything! What a wonderful time. I’m already getting a copy of your book, so I’m disqualifying myself from the contest, but I just wanted to offer my congratulations! Yeah! It looks like the release was a huge success! I’ll be keeping my eye out for you book in the bookstore! How I wish I had been there, dear Anita! I wish you so much success and many good things. You are talented and generous! I love a warm, gooey double chocolate cookie with melty chocolate chunks. I’m so happy for you! I’ve been a fan of your blog for more than a year now, and I can see how talented you are with your craft. I love cookies and I hope for an international release for your book so I can get a copy here in Manila! 🙂 More blessings on your way! WOW!! How wonderful for you. Congrats on the book. If I don’t win, I will definately look for it at Amazon, etc. My favorite cookie – Peanut Butter of course. Warm congrats to you, Anita. It has been so much fun to see your book mentioned and featured and talked about as I visit other sites — you have so much to be proud of. What an accomplishment! Congratulations! What a lovely book party. My favorite would have to be the dark chocolate crinkles, but it’s so hard to choose. your book is on my christmas wish list. I’ve just stumbled on your site and love it. I’m a mom of 5 kids and spend a lot of time in the kitchen and not as much in front of the computer! Cookies make the best best lunch box stuffers and my kids’ favourite are of course, chewy, chocolate chip oatmeal cookies. I know I’ll be back for more really soon. Congratulations and lots of success. Been admiring your site for a long while, sorry I haven’t commented on your book, sounds and looks great, wish I could get my lazy self to write one, but about what? Anyway cheers and happy baking!